I’m a little confused as to exactly what this is called. It’s sort of like the September Equinox but obviously it’s the 4th October today. 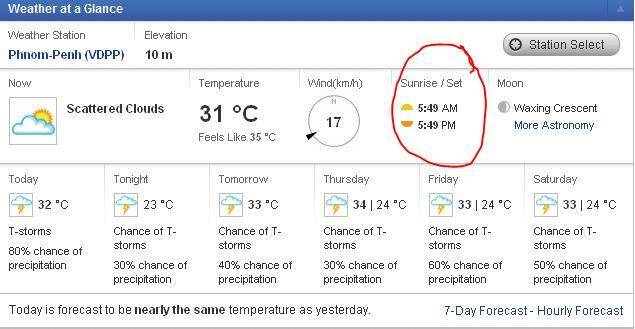 Anyway, today in Phnom Penh the sun rises at 5.49am and sets at 5.49pm. 12 hours daylight, 12 hours night. Last night I slept incredibly well. The two things are unrelated.